Stratton Set of 2 Stone Pots. 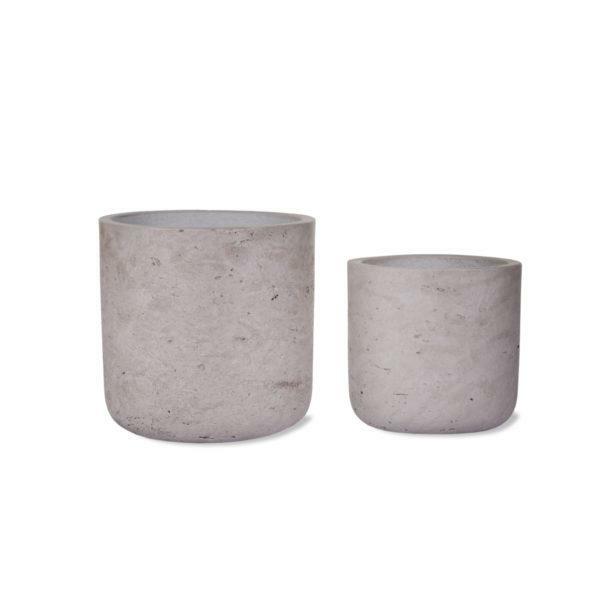 Stratton Set of 2 Straight Stone Pots. A perfect addition to your interior collections comes the Set of 2 Stratton Straight Cement Plant Pots. 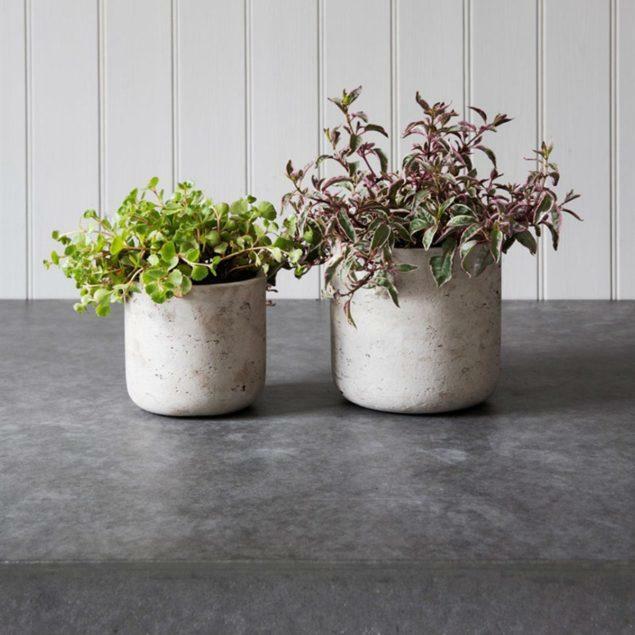 The soft exterior has been finished in our Stone colourway, wonderfully simple and neutral which will work in a range of homes. You will love the unique material and its ability to mix with all nature of flowers, plants and succulents. The set comprises two sizes which you could arrange together in a pair or placed separately on a shelf, bedside table or windowsill. The entire Stratton range has great adaptability and the mix of colours could easily be styled together in store to create a eye-catching display. Due to their natural material we recommend filling these pots with water and leaving for 24 hours on a draining board ahead of first use.